+ Digital QST: Coming Soon to a Computer Near You! The ARRL has finalized its planning to bring its large exhibition -- ARRL EXPO -- to Dayton Hamvention, May 18-20. The ARRL EXPO has been a mainstay at Hamvention since 2005, serving as the centerpiece for most of the League's activities at the country's largest Amateur Radio convention. "Our goal is help represent the fullness of the ARRL membership programs and services at the convention," said ARRL Marketing Manager Bob Inderbitzen, NQ1R. "ARRL EXPO is as much about creating an experience for convention goers as it is about having a place for members to interact with other members. The ARRL EXPO team includes more than 100 ARRL volunteers, officials and staff members. If you are an active Amateur Radio operator or want to renew your interest in ham radio, the ARRL EXPO is the place to be at Dayton." Read more here. 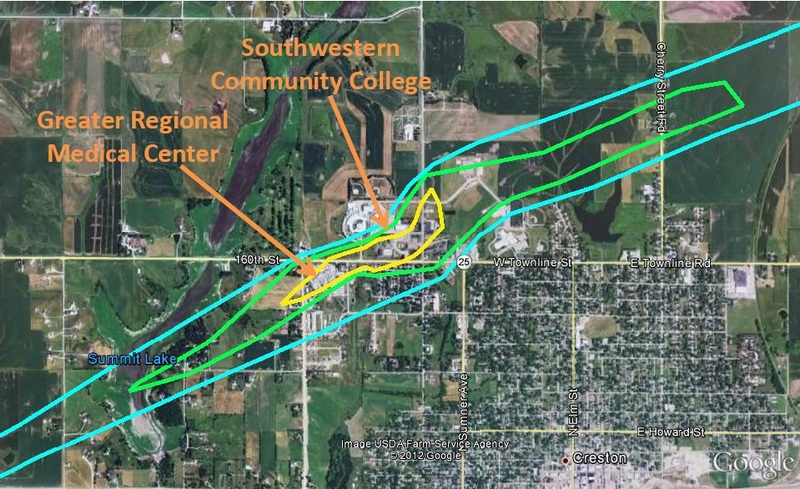 On April 14, a string of tornados swept through the Central US and Great Lakes Region, including an EF2 tornado in Creston, Iowa, causing severe damage to the Greater Regional Medical Center and the Southwestern Community College campus. Prior to the tornado, radio amateurs in Creston reported storm observations directly to the National Weather Service. After the storm forced the evacuation of the hospital, hams provided communications support to local officials. Read more here. The Federal Aviation Administration (FAA) is deploying a new generation of Common Air Route Surveillance Radar (CARSR) that has some implications for the use of the 1240-1300 MHz (23 cm) band by amateurs. The Amateur Service allocation in this band is on a secondary basis, with aeronautical radionavigation and several other services primary in the United States Table of Frequency Allocations. The FCC rules require that amateur stations operating in the 23 cm band may not cause harmful interference to stations in the radionavigation-satellite service, the aeronautical radionavigation service, the Earth exploration-satellite service (active) or the space research service (active). One case of harmful interference in Southern California has been reported. CARSRs are being installed in several dozen locations throughout the country and will use various frequencies in the 1240-1350 MHz range with an occupied bandwidth of about 3 MHz. In the vicinity of the radars, amateur operation may be precluded in a portion of the 23 cm band. The ARRL is in contact with FAA engineers. We anticipate that the constraints on amateur use of the band will be limited to those necessary to protect aviation safety, which of course cannot be compromised. Acting on a recommendation by ARRL Membership and Volunteer Programs Manager Dave Patton, NN1N, the ARRL's Programs and Services Committee (PSC), adopted new rules for ARRL field card checkers. ARRL card checkers now may check QSL cards for those entities deleted from the DXCC list and, with exceptions, check cards for 160 meters. In addition, the PSC decided not to change the process by which card checkers are appointed. Read more here. First introduced in 2008, the ARRL's Field Day Station Locator Service has proved a popular addition to the Field Day toolbox. This service -- an interactive map that helps amateurs or those interested in Amateur Radio find a Field Day site near them -- is free to clubs or individuals who will be operating public Field Day stations. Stations can also be listed by state or province. So far, hams in 47 states, Puerto Rico and six Canadian provinces have listed Field Day sites on the Field Day Locator. If your group would like to be a part of the Station Locator Service, it's easy to get started -- just go to the Field Day Station Locator website and follow the instructions. ARRL Field Day is the most popular on-the-air operating event in Amateur Radio. On June 23-24, join tens of thousands of radio amateurs as they gather for a public demonstration of the Amateur Service. Thinking about using Amateur Radio and wireless technology in your classroom to help facilitate hands-on learning opportunities? 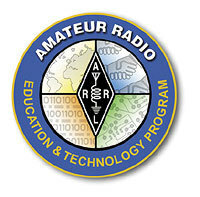 The ARRL's Education & Technology Program offers two programs that can help make this happen, but the deadline to apply is fast approaching: The deadline for the 2012 Teachers Institute on Wireless Technology is May 15, while the deadline for equipment and resource grants is May 1. Read more here. The new digital edition of QST will debut toward the end of May. If you are an ARRL member and you haven't yet signed up to be notified automatically when the digital edition becomes available, you can do so easily. Just click on the "Edit your profile" link on the ARRL website. Once you are in your profile, click "Edit e-mail subscriptions" and then check the box next to "Notification of monthly digital edition of QST." That's all there is to it. A new FAQ about the digital edition has the answers to the questions ARRL members have been asking (it can also be accessed from the QST page on the ARRL website). We hope you enjoy the new digital edition of QST. The ARRL Executive Committee met on Saturday, March 24 in St Louis, Missouri. The minutes from that meeting are now available on the ARRL website. As part of ITU Telecom World 2012 -- scheduled for October 14-18 in Dubai -- the conference will present the Young Innovators Program. With its theme of Youth Innovation for Development, the Young Innovators Competition is a chance for the next generation of young visionaries to demonstrate their ideas and innovations on this global stage and show how their fresh digital thinking can change the world for the better. The program seeks to attract dynamic, engaged young people and identify projects with a genuine potential to succeed. The goal of the program is to build a cohesive international community of highly talented of social entrepreneurs from age 18-25 who are working on ICT-based initiatives from the conceptual stage through to projects in areas of critical relevance to the burning issues facing the world today. Read more here. The Sun, as seen on Thursday, April 19, 2012 from NASA's SOHO Extreme Ultraviolet Imaging Telescope. This MDI (Michelson Doppler Imager) image was taken in the continuum near the Ni I 6768 Angstrom line. The most prominent features are the sunspots. This is very much how the Sun looks in the visible range of the spectrum. Tad Cook, K7RA, reports: The solar flux and sunspot numbers reached a short term low on April 8-11, but they are rising again. For the past week -- April 12-18 -- the average daily sunspot numbers more than doubled, compared to the previous seven days, rising more than 39 points to 71.7. The average daily solar flux increased from 95.9 to 105.1. The predicted solar flux for April 19-22 is 120, followed by 115 on April 23-26, 105 on April 27-28, 100 on April 29-30, and 95 on May 1-9. The predicted planetary A index is 5, 5, 8, 5, 6, 10, 12 and 8 on April 19-26, 5 on April 27-29, 8 on April 30, 5 on May 1-7, and 8, 12, 15 and 10 on May 8-11. 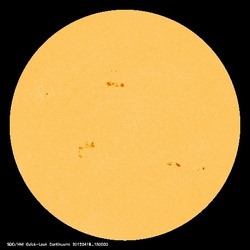 Look for more information -- including propagation reports from readers, updated predictions and a piece by Carl Luetzelschwab, K9LA, regarding the current stalled state of Solar Cycle 24 -- on the ARRL website on Friday, April 20. For more information concerning radio propagation, visit the ARRL Technical Information Service Propagation page. The dates have been set -- September 21-23 -- for the 31st Annual ARRL/TAPR Digital Communications Conference (DCC) in Atlanta at the Sheraton Gateway Hotel. The DCC schedule includes forums, demonstrations, a Saturday evening banquet and an in-depth Sunday seminar. This conference is for everyone with an interest in digital communications -- from beginner to expert. Technical papers are also being solicited for the conference proceedings. You do not have to attend the conference to have your paper included. The submission deadline is July 31. Please send papers to Maty Weinberg, ARRL, 225 Main St, Newington, CT 06111, or you can make your submission via e-mail. Papers will be published exactly as submitted and authors will retain all rights. For more information, please see the DCC website or call TAPR at 972-671-8277.